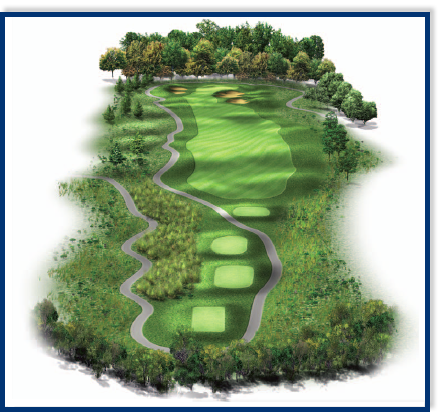 Your journey begins with a relatively easy opening hole with a slight turn to the right for the second shot. There are however some well-placed fairway bunkers along the left side of the fairway. The second shot into this deep green is guarded by a bunker in the front, making club selection vital to scoring well. A par on this hole is a great way to start the round. This is the number one handicap hole for good reason. 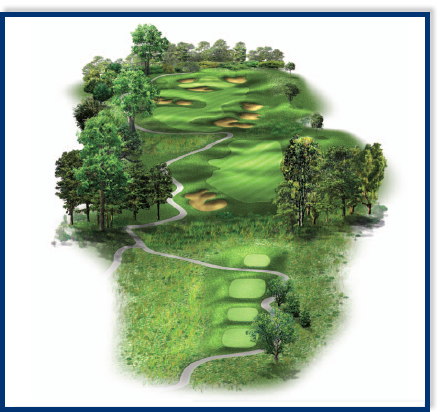 Two components are necessary for success on this long and straight par 5. Your tee shot must find the fairway on this narrow landing area. 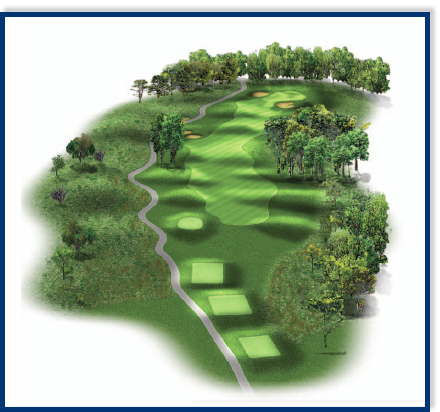 From there you will have to navigate your second shot in amongst the bunkers and natural grass areas that line the right side of the fairway. 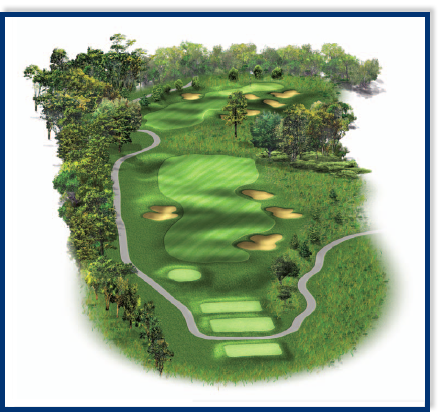 A birdie is a great score on this hole, setting you up for the challenging journey ahead. Hole 3 is a good straightforward hole. "Just grip it and rip it", on this longer par 4 back into the prevailing winds. Having an accurate tee shot on this hole is crucial to your second shot. With a green-side bunker, accuracy is at a premium. 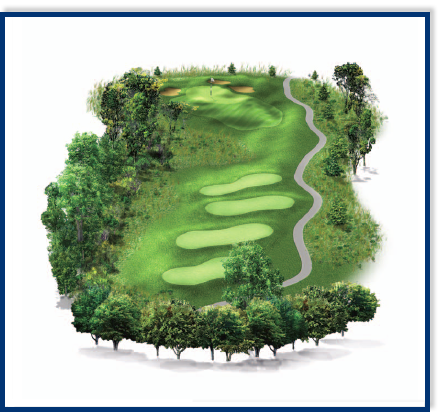 Avoid visible bunkers and aim for the middle of the large green. Three words describe this hole: Narrow, Narrow, And Narrow! The left side is a lost ball waiting to happen. There is a cliff and out-of-bounds that runs along the whole left side making it impossible to retrieve any hooks. On the right side there is a fairway bunker that your sliced ball may find. However a straight drive will leave you a short iron into this green. Know the pin placement to make your putting easier. A four on this hole shows that you are a straight hitter. 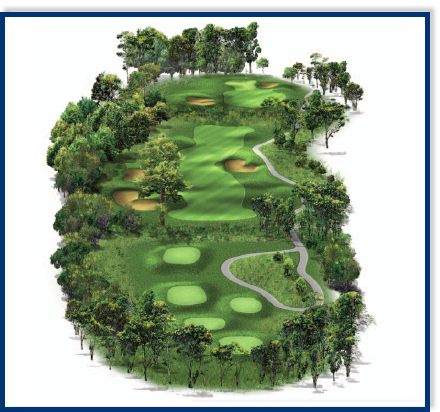 This par 3 is a straightforward hole. 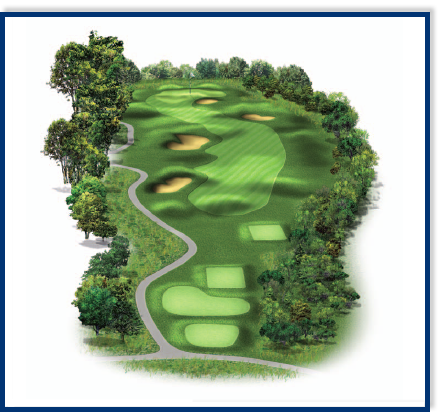 With the elevated tee you can easily see one of the largest and undulating greens on the course. Bunkers on the right and left await delinquent shots. With the native grasses that surround the tee, this is one of the more picturesque holes at Heron Glen. This is a good catch-up hole from the middle tees. Better have a straight drive in the bag! Having an accurate tee shot on this hole is crucial for your second shot. The longer you go off of the tee, the shorter your second shot becomes. 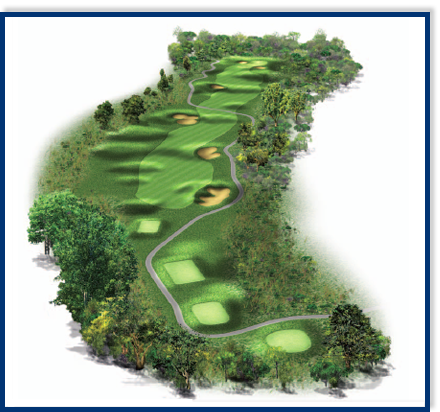 However, a ravine cuts through the fairway. For your second shot there is a chute of trees that line both sides of the approach. With a green-side bunker, accuracy is at a premium. A seemingly harmless par 3 that consistently frustrates players of all skill levels due to the swirling winds near the green. Club selection is a real challenge. Errant tee shots will find the native areas to the right. 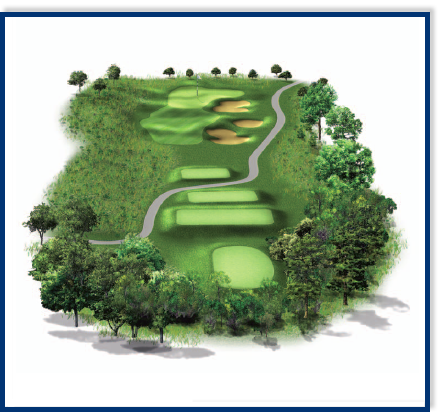 Tee shots that fly the green will severely penalize the player with bogey or worse. After teeing off from an elevated tee, it is all level from here. 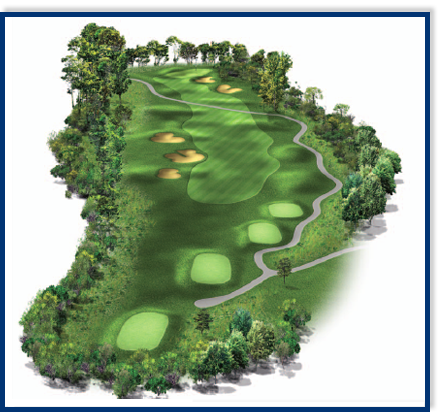 This difficult par 5 has a ravine that splits the fairway, making a straight shot crucial for success. Once you find the fairway, your second shot needs to be accurate because the landing area is well guarded by five fairway bunkers. Favor the right side as this strategy will direct the ball towards the green. Longer hitters might find the green in two, but the likelihood of that happening is rare. 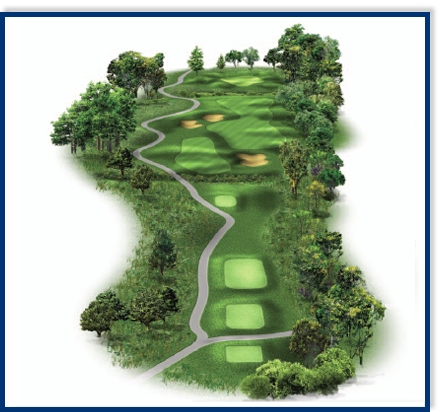 Once on this green, players will find the undulations challenging. Hit it hard then hit it hard again. This par 4 is not the longest on the course, but plays into the prevailing wind. Any approach shot short or right of the green will find the lone bunker on this hole. A birdie is a great score, setting you up for the challenging back nine. A draw sets up perfect for this right-to-left swinging fairway. Bunkers on the left come into play, and the native area on the right will keep you from getting on in two. 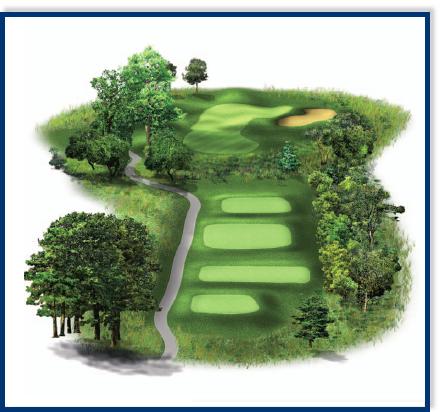 Hole 10 is a reachable par 5 for the long hitter. An accurate tee shot is required, because of the two bunkers on the left side of the landing area and one bunker on the right. 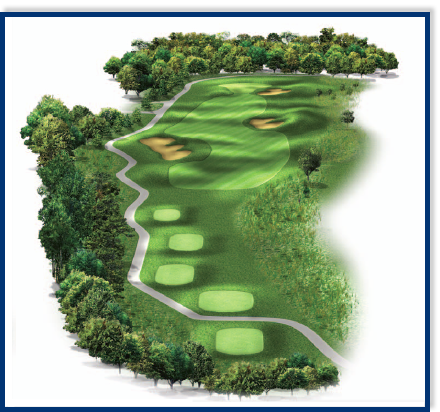 Depending on the tee shot you will face short to mid irons for you second shot. Remember this hole plays down-wind most days. This may be your favorite par 3 at Heron Glen. Although not an island green it plays very similar to one. Shots that come up short in the native ravine are guaranteed lost balls. Going long on this green does not prove to be productive either. This green is multi-tiered and slopes back toward the ravine. With little room for error, this hole can be a slicer’s nightmare. You can turn a par into a bogey very easily. This par 5 signature hole is considered one of the most scenic holes in the area. The fall colors provide a breathtaking view that is worthy of any golf publication. This hole is truly a risk or reward hole. With a ravine cutting across the fairway, placing your tee shot close to the end of the fairway will make your second shot that much easier. The landing area slopes down to the left, so staying close to the right side will provide a better third shot. Going left on the second shot makes for an impossible third shot to the most rolling green on the course. No matter what you score you will remember this exquisite hole. This scenic par 4 is not only beautiful but it is also challenging. 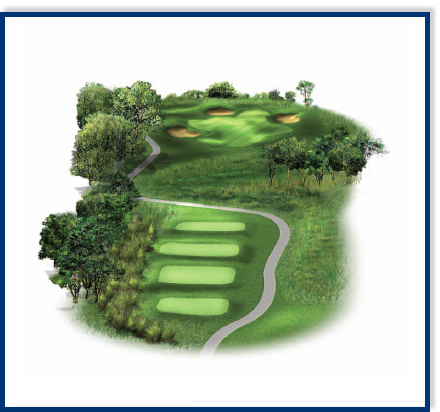 Slicing the ball on this hole will penalize you, but you must also avoid the fairway bunkers to the left. This is maybe a “green light” birdie hole. The longest par 3 on the golf course starts the adventure of bringing this round to the house. Long or left is very undesirable; the right side will kick balls toward the green. 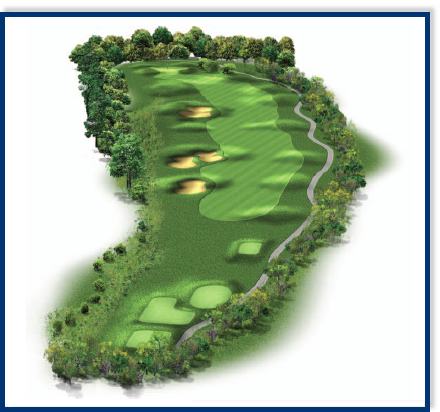 Club selection on this deceiving par 3 is crucial. 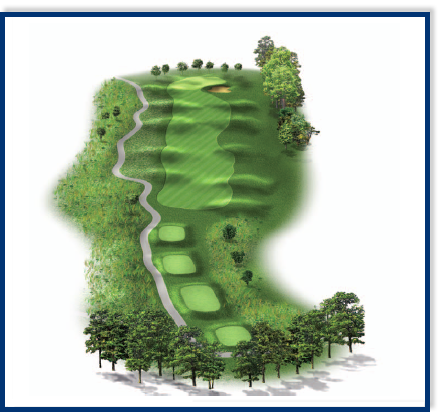 There is a 20 foot elevation change from tee to green, so pick your club accordingly. However, it does not take a perfect shot to reach an edge of this large, relatively flat green. This is the most intimidating hole on the course. 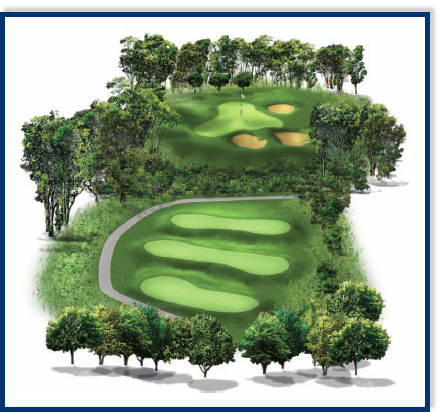 Standing on the tee, you encounter a 30-yard wide, uphill fairway with the potential for lost balls on the left and a couple of bunkers on the right side. Not hitting the ball long and straight will leave you with a lay-up second shot. Your next shot proves to be as important as your first, as this green lies between a ravine and overprotective bunkers. The journey does not get any easier with the two home holes left. Another one of the signature long par 3's on Heron Glen’s back nine. With the lateral hazard guarding the entire right side of the hole, plus protective bunkers, accuracy is a must to keep your round going steady. The last but not least, No.18 provides a true test of playing the wind. On this awe-inspiring hole, a hook with the wind can leave you in one of two ponds guarding the left side. 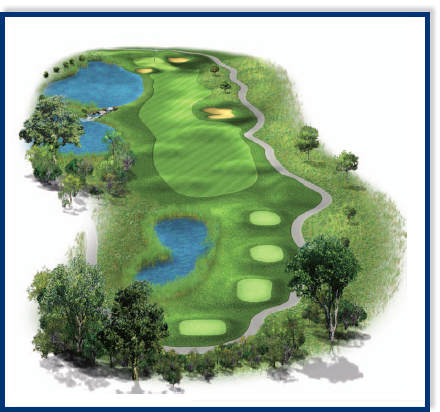 Hitting the fairway will leave you a level approach into the wind to a green that bends toward the second pond. Trust your yardage and don’t miss your shot to the left.